Provided, that the non-applicability of the Act or these Rules do not extend to personal information controllers or personal information processors, who remain subject to the requirements of implementing security measures for personal data protection: Provided further, that the processing of the information provided in the preceding paragraphs shall be exempted from the requirements of the Act only to the minimum extent necessary to achieve the specific purpose, function, or activity. Section 6. Protection afforded to Data Subjects. Majority of the members of the Secretariat, in so far as practicable, must have served for at least five (5) years in any agency of the government that is involved in the processing of personal data including, but not limited to, the following offices: Social Security System (SSS), Government Service Insurance System (GSIS), Land Transportation Office (LTO), Bureau of Internal Revenue (BIR), Philippine Health Insurance Corporation (PhilHealth), Commission on Elections (COMELEC), Department of Foreign Affairs (DFA), Department of Justice (DOJ), and Philippine Postal Corporation (Philpost). The organizational structure shall be subject to review and modification by the Commission, including the creation of new divisions and units it may deem necessary, and shall appoint officers and employees of the Commission in accordance with civil service law, rules, and regulations. Section 15. Effect of Lawful Performance of Duty. The Privacy Commissioner, the Deputy Commissioners, or any person acting on their behalf or under their direction, shall not be civilly liable for acts done in good faith in the performance of their duties: Provided, that they shall be liable for willful or negligent acts, which are contrary to law, morals, public policy, and good customs, even if they acted under orders or instructions of superiors: Provided further, that in case a lawsuit is filed against them in relation to the performance of their duties, where such performance is lawful, he or she shall be reimbursed by the Commission for reasonable costs of litigation. Section 16. Magna Carta for Science and Technology Personnel. Qualified employees of the Commission shall be covered by Republic Act No. 8349, which provides a magna carta for scientists, engineers, researchers, and other science and technology personnel in the government. Section 17. General Data Privacy Principles. The processing of personal data shall be allowed, subject to compliance with the requirements of the Act and other laws allowing disclosure of information to the public, and adherence to the principles of transparency, legitimate purpose, and proportionality. Section 18. Principles of Transparency, Legitimate Purpose and Proportionality. The processing of personal data shall be allowed subject to adherence to the principles of transparency, legitimate purpose, and proportionality. Section 23. Extension of Privileged Communication. Personal information controllers may invoke the principle of privileged communication over privileged information that they lawfully control or process. Subject to existing laws and regulations, any evidence gathered from privileged information is inadmissible. 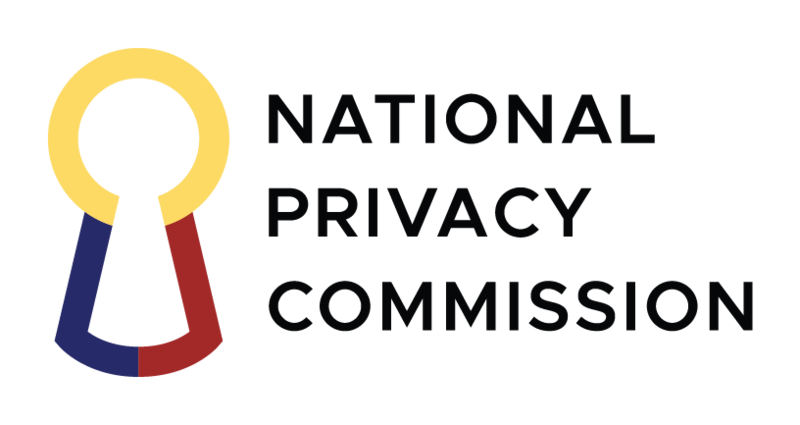 When the Commission inquires upon communication claimed to be privileged, the personal information controller concerned shall prove the nature of the communication in an executive session. Should the communication be determined as privileged, it shall be excluded from evidence, and the contents thereof shall not form part of the records of the case: Provided, that where the privileged communication itself is the subject of a breach, or a privacy concern or investigation, it may be disclosed to the Commission but only to the extent necessary for the purpose of investigation, without including the contents thereof in the records. Section 24. Surveillance of Suspects and Interception of Recording of Communications. Section 7 of Republic Act No. 9372, otherwise known as the “Human Security Act of 2007”, is hereby amended to include the condition that the processing of personal data for the purpose of surveillance, interception, or recording of communications shall comply with the Data Privacy Act, including adherence to the principles of transparency, proportionality, and legitimate purpose. Section 30. Responsibility of Heads of Agencies. All sensitive personal information maintained by the government, its agencies, and instrumentalities shall be secured, as far as practicable, with the use of the most appropriate standard recognized by the information and communications technology industry, subject to these Rules and other issuances of the Commission. The head of each government agency or instrumentality shall be responsible for complying with the security requirements mentioned herein. The Commission shall monitor government agency compliance and may recommend the necessary action in order to satisfy the minimum standards. Section 31. Requirements Relating to Access by Agency Personnel to Sensitive Personal Information. Section 32. Implementation of Security Requirements. Notwithstanding the effective date of these Rules, the requirements in the preceding sections shall be implemented before any off-site or online access request is approved. Any data sharing agreement between a source agency and another government agency shall be subject to review of the Commission on its own initiative or upon complaint of data subject. Section 33. Applicability to Government Contractors. In entering into any contract with a private service provider that may involve accessing or requiring sensitive personal information from one thousand (1,000) or more individuals, a government agency shall require such service provider and its employees to register their personal data processing system with the Commission in accordance with the Act and these Rules. The service provider, as personal information processor, shall comply with the other provisions of the Act and these Rules, particularly the immediately preceding sections, similar to a government agency and its employees. Section 35. Transmissibility of Rights of the Data Subject. The lawful heirs and assigns of the data subject may invoke the rights of the data subject to which he or she is an heir or an assignee, at any time after the death of the data subject, or when the data subject is incapacitated or incapable of exercising the rights as enumerated in the immediately preceding section. Section 36. Right to Data Portability. Where his or her personal data is processed by electronic means and in a structured and commonly used format, the data subject shall have the right to obtain from the personal information controller a copy of such data in an electronic or structured format that is commonly used and allows for further use by the data subject. The exercise of this right shall primarily take into account the right of data subject to have control over his or her personal data being processed based on consent or contract, for commercial purpose, or through automated means. The Commission may specify the electronic format referred to above, as well as the technical standards, modalities, procedures and other rules for their transfer. Section 37. Limitation on Rights. The immediately preceding sections shall not be applicable if the processed personal data are used only for the needs of scientific and statistical research and, on the basis of such, no activities are carried out and no decisions are taken regarding the data subject: Provided, that the personal data shall be held under strict confidentiality and shall be used only for the declared purpose. The said sections are also not applicable to the processing of personal data gathered for the purpose of investigations in relation to any criminal, administrative or tax liabilities of a data subject. Any limitations on the rights of the data subject shall only be to the minimum extent necessary to achieve the purpose of said research or investigation. Section 39. Contents of Notification. The notification shall at least describe the nature of the breach, the personal data possibly involved, and the measures taken by the entity to address the breach. The notification shall also include measures taken to reduce the harm or negative consequences of the breach, the representatives of the personal information controller, including their contact details, from whom the data subject can obtain additional information about the breach, and any assistance to be provided to the affected data subjects. Section 40. Delay of Notification. Notification may be delayed only to the extent necessary to determine the scope of the breach, to prevent further disclosures, or to restore reasonable integrity to the information and communications system. Section 43. Subcontract of Personal Data. A personal information controller may subcontract or outsource the processing of personal data: Provided, that the personal information controller shall use contractual or other reasonable means to ensure that proper safeguards are in place, to ensure the confidentiality, integrity and availability of the personal data processed, prevent its use for unauthorized purposes, and generally, comply with the requirements of the Act, these Rules, other applicable laws for processing of personal data, and other issuances of the Commission. Section 44. Agreements for Outsourcing. Processing by a personal information processor shall be governed by a contract or other legal act that binds the personal information processor to the personal information controller. Section 56. Unauthorized Access or Intentional Breach. A penalty of imprisonment ranging from one (1) year to three (3) years and a fine of not less than Five hundred thousand pesos (Php500,000.00) but not more than Two million pesos (Php2,000,000.00) shall be imposed on persons who knowingly and unlawfully, or violating data confidentiality and security data systems, breaks in any way into any system where personal and sensitive personal information are stored. Section 57. Concealment of Security Breaches Involving Sensitive Personal Information. A penalty of imprisonment ranging from one (1) year and six (6) months to five (5) years and a fine of not less than Five hundred thousand pesos (Php500,000.00) but not more than One million pesos (Php1,000,000.00) shall be imposed on persons who, after having knowledge of a security breach and of the obligation to notify the Commission pursuant to Section 20(f) of the Act, intentionally or by omission conceals the fact of such security breach. Section 58. Malicious Disclosure. Any personal information controller or personal information processor, or any of its officials, employees or agents, who, with malice or in bad faith, discloses unwarranted or false information relative to any personal information or sensitive personal information obtained by him or her, shall be subject to imprisonment ranging from one (1) year and six (6) months to five (5) years and a fine of not less than Five hundred thousand pesos (Php500,000.00) but not more than One million pesos (Php1,000,000.00). Section 59. Unauthorized Disclosure. Section 60. Combination or Series of Acts. Any combination or series of acts as defined in Sections 52 to 59 shall make the person subject to imprisonment ranging from three (3) years to six (6) years and a fine of not less than One million pesos (Php1,000,000.00) but not more than Five million pesos (Php5,000,000.00). Section 61. Extent of Liability. If the offender is a corporation, partnership or any juridical person, the penalty shall be imposed upon the responsible officers, as the case may be, who participated in, or by their gross negligence, allowed the commission of the crime. Where applicable, the court may also suspend or revoke any of its rights under this Act. If the offender is an alien, he or she shall, in addition to the penalties herein prescribed, be deported without further proceedings after serving the penalties prescribed. If the offender is a public official or employee and he or she is found guilty of acts penalized under Sections 54 and 55 of these Rules, he or she shall, in addition to the penalties prescribed herein, suffer perpetual or temporary absolute disqualification from office, as the case may be. Section 62. Large-Scale. The maximum penalty in the corresponding scale of penalties provided for the preceding offenses shall be imposed when the personal data of at least one hundred (100) persons are harmed, affected, or involved, as the result of any of the above-mentioned offenses. Section 63. Offense Committed by Public Officer. When the offender or the person responsible for the offense is a public officer, as defined in the Administrative Code of 1987, in the exercise of his or her duties, he or she shall likewise suffer an accessory penalty consisting of disqualification to occupy public office for a term double the term of the criminal penalty imposed. Section 64. Restitution. Pursuant to the exercise of its quasi-judicial functions, the Commission shall award indemnity to an aggrieved party on the basis of the provisions of the New Civil Code. Any complaint filed by a data subject shall be subject to the payment of filing fees, unless the data subject is an indigent. Section 65. Fines and Penalties. Violations of the Act, these Rules, other issuances and orders of the Commission, shall, upon notice and hearing, be subject to compliance and enforcement orders, cease and desist orders, temporary or permanent ban on the processing of personal data, or payment of fines, in accordance with a schedule to be published by the Commission.